A little while ago, I picked up a whole load of Very Short Introductions (VSIs) about christianity. I have already read and reviewed The Bible VSI. Moving chronologically forward, I now meet Thomas Aquinas. In case you’re interested, the others to follow are the VSIs on Protestantism and Pentecostalism. Aquinas is not a figure I came to this work knowing an awful lot about. Some things are common knowledge, but one sometimes wonder about the extent of their truth. For example, I have previously understood him to be the person who incorporated Aristotlean philosophy into christianity. This hybrid version went on to form the foundation for medieval catholicism, but his influence has lasted long into philosophy and christianity as well, with Thomas being regarded as the last great philosopher prior to Kant. His Summa Theologica ranks as one of the great ‘large works’ of christian thought, alongside Augustine’s City of God, Calvin’s Institutes and Barth’s Church Dogmatics. It was also ranked recently in the Church Times top 100 books of all time. So that’s how I approached the book. What of its content? As is usual with the case when the subject of a VSI is an individual, the opening chapter is an overview of Aquinas’ life and times. It reads like an extended encyclopaedia article, placing Aquinas into his historical context. Following this, there’s a short chapter on Aquinas’ works, other than the Summa Theologica. So a student of Aquinas could well use this as a guide to his lesser known works. Most of the book is written as a summary of the Summa Theologica. This then gives any potential reviewer a problem. Having not read the Summa from cover to cover, can one really critique how well the summary is done? If I critique the content of what I read, am I then really trying to critique Aquinas through an intermediary who may or may not have given a fair and accurate summary? It certainly left me with the sense that I had read an overview of the Summa, and it was most interesting to note that Aquinas abandoned his project after his study of the sacraments, so that these read as a kind of culmination of the work. In the more conservative sections of the church, this legacy is evident when christianity is spoken of as being “inherently sacramental” even though the very concept of a sacrament was a post-biblical theological development. This work then concludes with Aquinas’ legacy and how he is viewed today, in particular the revival of interest in Aquinas through the advocacy of Pope Leo XIII, as well as Aquinas’ influence on the modern human rights movement. Each of these could be expanded much more, so I must say that the ‘Very’ in Very Short Introduction is rather emphasised here. I doubt the experienced scholar who has looked at Aquinas for many years will find much to stimulate them here. This is a book I think I’ll return to in the future, when I get around to reading Aquinas for myself, as it should serve as a useful guide. If any of you are more familiar with Aquinas’ work and have read this VSI, then your input would be much appreciated. Riches begins by comparing the most widely read and the most influential books of all time. While he cites Das Kapital as an influential book, few have read it. Popular crime thrillers and romances may be widely read, but have had little lasting impact on the shape of the world. The bible (I stick with the lower case, as usual) has the unusual quality of being both widely read and hugely influential. It is this combination that makes of great interest to the literary scholar, sociologist, historian and just about anyone else who operates in the spheres where the bible has had an effect. He cites the Koran as another similar example, but makes no further comment, so I would refer readers to the VSI on that work. Part of the reason it is so widely read is the variety of audiences that it speaks to. Riches gives some examples, including pro and anti apartheid campaigners, a Benedictine sister in the Philippines, a bishop in Mozambique as well as American fundamentalists (here Riches uses Timothy La Haye as his example). The book really gets going with a brief overview of how the bible was written. This is soon followed by how it came to be put together. These twin topics could never be covered comprehensively in just a couple of dozen pages. Interestingly, Riches takes the view that a fair bit of the New Testament could have been written after A.D. 70. Clearly this goes against the view of F.F. Bruce and is not as extensively reasoned as the latter’s viewpoint. It almost seems to me like an axiomatic assertion upon which one’s view of the bible is shaped. In the chapter entitled ‘The Bible in the world of believers’ Riches looks at one passage in particular and tries to view it from several viewpoints. That passage is from Genesis, where Abraham took Lot up the mountain with the intention of sacrificing him. It’s quite pertinent, as that is one of the passages I struggle with the most. Riches doesn’t answer the moral dilemma here, but gives a brief look at a few possibilities. However, the length of the book prevents a satisfactory answer; for that the author can hardly be deemed at fault. There follows a chapter on biblical criticism, which starts with Martin Luther and ends with later German higher criticism. This is a really a whistle-stop tour of what this reader finds a very interesting field of study. Again, there is really insufficient room to do justice to the subject, but for one who is unfamiliar with biblical criticism, this serves as a useful taster. In a chapter on the bible in culture, we get to see some of the art that has been inspired by episodes from the bible and the ideas within it. The focus here is on so-called “higher” culture, so many who consider themselves connoisseurs of art may well find themselves on familiar territory, though no doubt they may mutter at the omission of their favourite artists. I certainly chuntered at the lack of Titian. However, there was a greater oversight here which I cannot let pass. The chapter doesn’t mention the destruction of artwork by some of the more over-zealous reformers. For me, an understanding of christian art cannot be anywhere near complete unless one understands the use of art as a means of education for the illiterate, the artistic license that was taken which gave rise to poor theological thinking, the basis for accusations of idolatry by the reformers and the centuries of regress and subsequent marginalistion of art as a means of worship. The book finishes with a chapter on the bible in politics. Once again, Riches hit upon one of the themes that particularly interests me and it was good to see him give the anabaptists and Quakers a mention here. Riches gives a carefully balanced view which will likely both enrage and encourage people from all political backgrounds. As I finished the book, I tried to think of what a certain reader might take away with them. This is a reader who is unfamiliar with the message of the bible but who is enquiring and wishes to gain an overview before embarking on the detail. Would they finish the book with a fair impression? I’m afraid the answer to that has to be no. There is much of some interest here, but it seems that the wood has been lost for a close examination of the shape of some of some of the leaves and the structure of the bark. In a few of the books I’ve read recently, most notably Das Kapital and Theology of Hope, the figure of Hegel has loomed large. Yet it any discussion on him always comes across as esoteric and rather impenetrable for this reader, untrained in philosophy. Without diving straight into his works, it seemed more appropriate to read about him, with a book designed for a beginner. So what could be more appropriate than a Very Short Introduction? We begin with a look at Hegel’s life. One instantly gets confirmation of a likely suspicion: Hegel’s work is heavily shaped by (both in agreement with and as a reaction to) Kant’s philosophy. Having not read Kant or much about his thought, this would seem to be an instant hamstring. Perhaps I should come back to Kant later. The other figure that Kant wishes to highlight is Friedrich Schiller, whose own critiques of Kant may be thought of as mirroring Hegel’s, but that the history of philosophy has looked on Schiller unfavourably, with Hegel emerging as the more memorable of the two. Singer’s look at Hegel’s own thought begins with The Philosophy of History. The key point I picked up from it was that Hegel viewed history as a progression towards a state of liberty. It is hinted at, though not stated explicitly, that Hegel viewed his own contemporary German state as the culmination of that progress. Singer looks at a few civilisations through Hegel’s eyes, to show us how he reached this view. The question then arises as to what is meant by liberty. To do this, we get a précis of Hegel’s Philosophy of Right. Singer is quick to point out that this is not a matter of right as in ‘right and wrong’; i.e. a study of ethics. But rather it concerns rights, a matter of political philosophy. Hegel reacted against the idea of liberty as the ability to do what one pleases, viewing this not as the greatest height of humanity, but as an immature dream. I couldn’t help but think that maybe Friedrich Hayek would have been wise to heed these words. Indeed, the discussion quickly moves to one of economics, where, having referenced him earlier, one cannot but think of Karl Marx. Moving onto the motion of community, Singer takes us on a tour of Hegel’s view of planned and unplanned ways of living. At this point, I admit I got a bit lost in Singer’s explanation, so goodness knows how hopeless I’d be at trying to get a grasp on the source material of Hegel’s writings on the subject! Halfway through the book, Singer unleashes on us the following: “It is time to confess: I have been cheating. My account of Hegel’s philosophy so far has carefully omitted of mention of something that Hegel himself refers to repeatedly and regards as crucial: the idea of Geist.” Thus we see that what has been spoken of so far has only partially dealt with the works those chapters purport to. So it is that we then have to look at Hegel’s Phenomenology, starting with whether Geist is better translated as ‘spirit’ or ‘mind’. Singer takes the view that ‘spirit’ sounds too religious and, notwithstanding Hegel’s Lutheran tendencies, is too misleading, preferring ‘mind’ instead. Without having studied Hegel, I think Singer did a pretty good job here. It hasn’t made me an expert, but I think I got the gist of it (pun intended). Finally, and almost reluctantly, we get onto Logic and Hegel’s work on dialectics (not to be mistaken for dianetics!). For it is here that I first got a bit lost at the start of Das Kapital. Beginning from a classical view of dialectics as going to and fro with ideas, Singer tells us that Hegel’s view is much more systematised, starting with a thesis, countered with an antithesis before finally the two come together in the form a synthesis, which then in turn becomes the next starting point. i.e. the next thesis. Throughout the second half of the book, with particular reference to the notions of Geist and dialectics, Singer refers us back to the first part, showing the reader more explicitly what was hinted at before, or showing us that a particular example (e.g. the mind recognising another mind that is not itself, as a means of recognising that it is a mind) fits the models that are explored in the latter part. The afterword of the book gives the reader a taste of where to go next, by looking at Hegel’s legacy. Singer’s view is that the more conservative take on Hegel’s work (which emphasises his later writings) died a death in a cul-de-sac, while the more radical take (exemplified by Feuerbach and Marx) flourished, understanding Hegel’s later work as a failure to follow through with his earlier ideas, seeking to rework them. An offshoot of this that grabbed my idea was David Friedrich Strauss’ Life of Jesus which I haven’t read yet, but which I know was a work against which Albert Schweitzer’s The Quest of the Historical Jesus was partly a response. A thesis and antithesis, if you will. Overall, I think Singer met the brief very well. It may be some time before I come to read any of Hegel’s own works, but I think if he comes up again in my other reading, I have here something of a handle to hold onto to help me understand what more modern thinkers are saying about him and his work. So if you have started in the same position as me (see first paragraph) then I would definitely recommend this little book to you as a useful overview. It’s sometimes good to pick up a book on a subject you know next to nothing about, just to try to get an early handle on it and immerse yourself in its world. This was my thinking when, having spotted a bookshop attached to an art gallery in Whitechapel, London, I spotted this Very Short Introduction (VSI). My only prior exposure to art theory was during a conversation with an art student when we were both at sixth form college. Here, she claimed that art was whatever an artist said was art. She followed up by saying that an artist was anyone who considered themselves to be one. Being keen on logic and wanting to bust her bubble via a reductio ad absurdum, I stated that I was an artist and that my poking her in the shoulder was a piece of art. It was done in jest, but for me it was a perfectly justified reaction against art theory as she portrayed it to me. From here, we get a whistle-stop tour of various different kinds of art, all the way along questioning what it is that makes it art. What are the common themes and what are the differences. In particular, the idea of intent seems to be paramount. This is illustrated through looking at some of the pop art works of Andy Warhol. 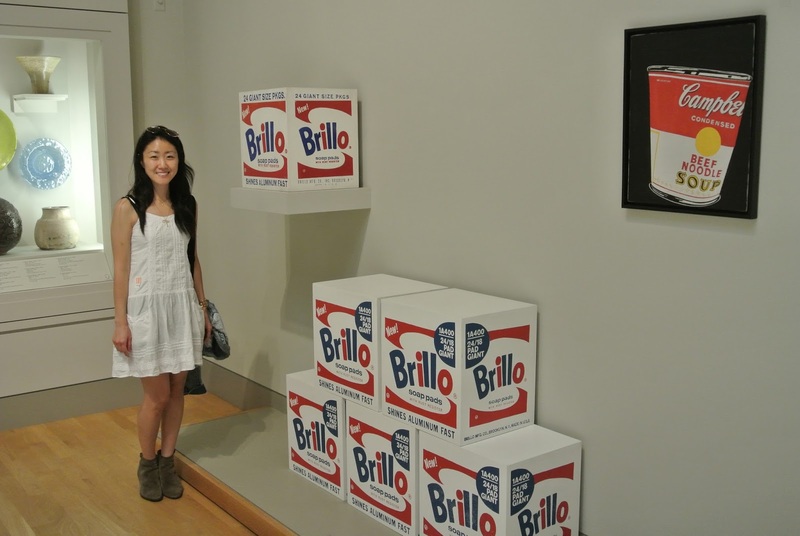 What made his version Brillo Boxes art while the commercially available equivalent isn’t? When it comes to looking at a variety of cultures, Freeland asks the reader to face some uncomfortable questions. What for one culture is an expression of their identity may be taken as a quaint form of “tribal art” for another culture. This has given rise to an industry of such art that may have originated in particular cultural or religious expression, but later has become little more than a commercialised fulfilment of an imperialist fetish. This naturally leads on to issues of money and how capitalism corrupts the art world. Fighting against this is the idea of public art; that which should be available for all the public to experience in whatever form the art takes, typically visual. There’s a brief history of the changing natures of museums here which was cut short for it to fit into this volume, but could easily have been expanded into a much larger chapter, as the treatment is all too brief. One of the themes that has long permeated art, but which is particularly highlighted in modern art is the act of subversion and how art becomes a tool of that subversion. This is a subject Freeland examines through a few lenses, but in particular that of feminism. There are other lenses that have could have been used more extensively, but I think that in using the feminist angle, she was angling for an approach that would appeal to as wide a liberal audience (for that is who she seems to be writing for) as she could hope for. So it was a little ironic that in what should have been the most controversial chapter, she chose potentially the safest option. Here, we move to what I thought seemed to be the heart of the subject: how do we interpret art? It seems that any artist must have some idea of what it is that they want to convey and the viewer of the art is intended to receive a message. But unlike the written word, visual art (for in Freeland’s world, literature doesn’t really seem to count as art) can have “fuzzy edges”. What we then get is a rundown of various theories as to how the message is conveyed. If a viewer understands one thing, is it “right”? Is meaning generated in the mind of the viewer or can the artist turn around and tell them they’ve no right to interpret their art in that manner? Towards the end of the book, we come right up to modernity, with an examination of the digital revolution and how art can be made available for all. It is worth questioning the future of the art galleries given that a click of a few buttons, we can see versions of the great works of visual art on our computer screens. There was a satisfying moment I had whilst reading it one lunchtime as the book mentioned the very art gallery in Whitechapel where I bought the book. I’ve come away from the book with the beginnings of an education. I think that’s the best that one could reasonably hope for. The book could have been a lot different if different examples were cited, as the world is full of art of a wide variety. I’m not sure I’ll take up art more seriously in the near future, but if you’re vaguely interested then I would certainly recommend this work to you. As I’ve tried to hint at in this review, there are lots of questions, so it’s certainly a book to make you think; and that can hardly be a bad thing. I read the Koran once when I was a teenager, but did so with no guidance and just went through it cover to cover. It seemed rather disjointed, with some oddly worded concepts and what I considered to be perversions of stories from the Old Testament. The one that stuck in my mind was a re-telling of the story of the garden of Eden, where the serpent of Genesis became Satan (or Shai’tan as I think it may have been rendered) and prompted me to wonder whether this was the impetus for christian theologians to make that identification or whether it was earlier, even if it is commonplace in most expressions of christianity today. Yet I haven’t touched the book since then. At some point, I may come back, though I wonder how one might review it on this blog. In approaching this book, then, in the hope that it will go someway to filling a hole of ignorance. Already, one may think it wrong to refer to the Koran as opposed to the Qur’an. In his introduction, Cook states that while Qur’an is the more faithful rendering, Koran is readily recognised as an anglicised form that lends itself to a correct stressing of the syllables. As this is the way Cook refers to it, then so shall this review. The manner in which Cook approaches the book is unlikely to be one that people expect. He works roughly in a sort of anti-chronology, looking at the modern usages of the Koran, moving back in time to tell its story. Though at times, this timeline gets a bit jumbled, that seems to be in order to avoid the exposition itself becoming jumbled. In case it needs highlighting, this is the VSI of the book of the Koran, it is not a VSI of Islam. If that it was you’re looking for, then this is not the right book for you. We begin by considering what the notion of ‘scripture’ is and what the overall message of the Koran tries to tell us. The emphasis Cook brings out is that of the straight path and the nature of God (though I did wonder why Cook referred to God, rather than Allah). After this introduction, we get to see how the Koran is used today and its influence, which is quite evident to many if you either live in an area where there is a high Muslim population or by putting on the news. Yet the disparity between these two is clear and not a little confusing for the non-Muslim. Such misunderstanding can give birth to Islamophobia. After looking at how the Koran is communicated (both as a written text and as a self-contained oral tradition in and of itself), there’s a general discussion as to what it means for any text to be regarded as “scripture”. Of course, any writing is, etymologically scripture. Even this blog is; but that’s not the common usage of the word, which tends to denote some sacred text of a religion. Contrasts are drawn between the Koran and some of the Vedas, though to many a reader, especially christians like me, the comparisons to the bible are rather thin and it left me feeling a little flat. One of the bits that didn’t seem to make a lot of sense was the idea of coloured text. There is talk of it, but as the book is published in black & white, apart from the cover, then one cannot tell about the red and gold punctuation marks. It was only when I visited the British Library’s collection of Koran’s that this became clear. What we don’t get is one clear story of how the Koran is said to have come about. There are hints here and there, but the whole story of Mohammad being told to read is rather lost in amongst the other chapters, partly as the story of where he was when various bits of the Koran were revealed. Overall, it is a useful VSI, though I can’t say it was particularly memorable. I’m publishing this review some time after having finished it and find myself having to keep opening it to remind myself of the book’s contents. It’s one to keep and refer to, yet I couldn’t help but think there are better introductions available. Today, the 15th of June 2015, marks the 800th anniversary of the meeting at Runnymede when the Magna Carta was first ‘signed’. 3 weeks ago, I visited the British Library which is running an exhibition all about the Magna Carta. Just before I did, though, I thought I ought to try to get clued up a bit about it. My aim wasn’t to become an expert, but just to sketch in a rough form where there was a massive space of ignorance in my knowledge. This VSI by Nicholas Vincent, then, was the book I chose. Those of you with good memories may recall that I picked this up when I was last at the British Library in February, having been somewhat disappointed by the VSI on the British Constitution. Here, Vincent was keen to put Magna Carta in its context. That context takes up more than half of the book, so the contents of Magna Carta are somewhat relegated to an appendix. It wouldn’t be too unfair then to say that this is much more about politics of the late 12th and early 13th centuries. So if you expect this to a summary of the Magna Carta and a discussion thereof, then you will likely be very disappointed by this work (don’t worry, though, there are plenty of publications available at the moment; I’m sure some of them take this approach). This is likely because Nicholas Vincent’s specialty is medieval history. So rather than foregrounding Magna Carta and filling in the background detail, he spends a lot of time and effort bringing to life the background, seeming to hope that the Magna Carta speaks for itself. In favour of this last statement, a modern translation of the Magna Carta is provided in an appendix, though it seemed slightly unfair to relegate it to this position. It is only when one is about 2/3rds of the way through this VSI that we get the occasional reference to specific clauses, though there’s no specific instruction to the reader to turn to the appendix, so one might be a bit wrong-footed by this. Even then, we are not exactly guided through it, but instead we are given a scattergun approach. As an overview of the politics of north-western Europe in the medieval period, it is a very good work. It’s not a period of history that I could claim any expertise in, nor even much familiarity, so cannot really comment on Vincent’s accuracy or choices of emphasis in his portrayal. As an amateur reader then, I came away with a better appreciation of the circumstances that led to the Magna Carta’s formation, though this wasn’t really a magnification of it. Rather, one could see a developmental stage that led towards it. This was later added to by my visit to the aforementioned exhibition at the British Library which is very well done (apart from the actual copies of the 1215 Magna Carta which I must say were a tads disappointing). There were several videos running in the exhibition, one of which featured Nicholas Vincent talking, so when I listened to him, it rang strongly of this book that I had finished reading the day before. One thing that is picked up on by both the book and the exhibition is that almost as soon as the Magna Carta came into force in 1215, it was annulled. So we ended up with a slightly farcical situation whereby it went and came again, with there being various versions going about, each differing slightly different from the last. Only Durham Cathedral (I miss seeing it from the dining room window) has a copy of each edition. We get an overview of which sections got dropped from the statute book over the years. The thing is, the Magna Carta is more often invoked by name than in substance. How relevant is it that clause 33 calls for the complete removal of fish-weirs from the Thames and Medway? Well, a lot less than clause 39: “No free man will be taken or imprisoned or disseised or outlawed or exiled or in any way ruined, nor shall we go or send against him, save by the lawful judgement of his peers and by the law of the land.” The book finishes then with an evaluation of the legacy of Magna Carta. It is somewhat brief, and might perhaps have been better written by a legal or constitutional expert, rather than a medieval historian. As a starting point, though, it’s not bad. You may well hear a lot about Magna Carta at the moment, but a lot of it comes with an assumption of a knowledge and understanding of its background and content. If you think you have a gap in your education around this, then I would certainly recommend this as a very short remedy. When reading the Very Short Introduction (VSI) series, I find them to be ideal for subjects where one has some modicum of understanding, but where any level of detail is currently unknown to me. Having grown up and lived in Britain all my life, and having observed our politics for most of my adult life, I get an idea of what it means for something to be “constitutional”. Unlike the Americans, we don’t have a fixed, codified constitution. It is very much something of a ‘sense’ that we have, but which is instilled in us through roughly 800 years of history since the signing of the Magna Carta. As we mark the octocentenary of that famous document it seemed appropriate to have a read of this. The opening discourse is about the nature of a constitution and what could count as one. The most famous example is, of course, the American constitution, but it’s noted that that’s quite an odd example as it was designed as a founding document to a country with no history, no legal precedent of its own. So Thomas Paine (whose Rights of Man I have, but haven’t read yet) makes a rather post hoc argument defining a constitution as a single document with several features which just happen to coincide with a description of the American one. One might well think, as I did at the outset, that there would be considerable focus on the Magna Carta and its legacy, but its role in British constitutional history is heavily downplayed here. Instead, Loughlin opts for a “common law” approach, claiming that what we understand as the British constitution is the combined history and tradition of the laws of the land. In order to colour the picture in we get a rundown of some specific pieces of legislation that have been passed over the centuries and their effect on the democratic make-up of what we now know as the United Kingdom. Oddly enough, the author never mentions Erskine May, the guide to parliamentary procedure. This prompted me to then have a look at the author’s background, and here we can see that perhaps Loughlin was not the best choice to author a book on the constitution, as his expertise is in law. So it is little wonder that he views the constitution as the combination of various laws passed through the centuries. If it were labelled as “British legal history – A Very Short Introduction” then we might be less disillusioned. In amongst a bit of a hodge podge of pieces, there is some really good stuff. For example, we get a good summary of the political history of the various unions that have taken place to give us the United Kingdom of Great Britain and Northern Ireland that we now have. Interestingly, it’s very much a book of its time, as it frequently references the current coalition government. So it will be interesting to see how later editions may be changed to reflect the government of the day. The Alethiophile by Sipech is licensed under a Creative Commons Attribution-NonCommercial 3.0 Unported License.